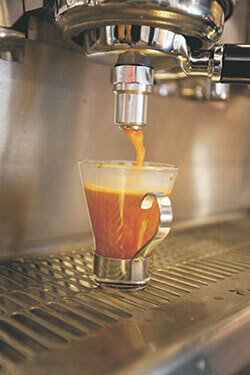 Rooibos Espresso features a strong slightly nutty flavour with a clean finish. It is naturally caffeine free and contains 10 times more antioxidants than regular Rooibos itself. 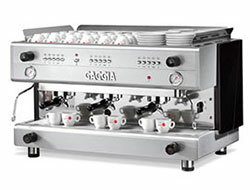 Like coffee it is ideal for making lattes and cappuccino-style drinks. The double shot espresso is a perfect base for a Ice Tea on a hot day. Our soft pods are compatible with most Coffee machines. 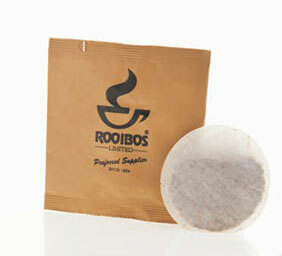 It is packed with 8.5 g of Rooibos giving you strong single or double shot of espresso. 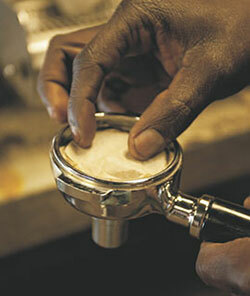 We also supply grouper handles to fit most coffee machines. Please feel free to contact us with your trade inquiry.